Did you know that four of the first five presidents of the United States came from the Commonwealth of Virginia? In all, eight presidents came from Virginia, more than any other state. If you enjoy American History, you’ll love Virginia, as did our eight presidents: George Washington, Thomas Jefferson, James Madison, James Monroe, William Henry Harrison, John Tyler, Zachary Taylor and Woodrow Wilson. Seven of the presidents have homes that are open to the public and worthy of a visit. 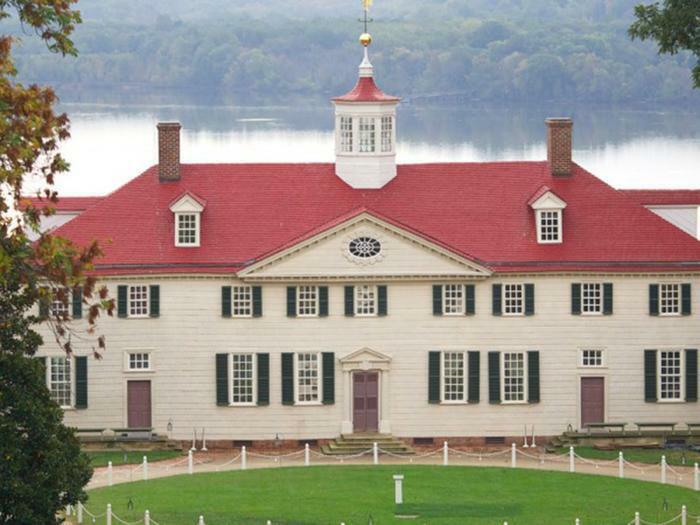 Located in historic Alexandria, Virginia and just outside Washington, D C., Mount Vernon is not just the home of George Washington, it’s his estate. It is beautifully restored and includes his mansion, over a dozen original structures, his Tomb, and extensive plantation and gardens. An iconic architectural feature of the mansion, designed by Washington himself, is the two-story porch that overlooks the Potomac River. Located in Orange, Virginia, a two-hour drive from Washington D.C., is the lifelong home of James and Dolley Madison. Their historic home is situated on 2,650 acres of protected land with unobstructed views of the Blue Ridge Mountains. Tours fall under three categories: The Scholar, The Adventurer, and For Family. Tour highlights include the Signature Tour, Madison and the Constitution, and Montpelier’s Enslaved Community, as well as adult, group, and special tours. There are over eight miles of walking trails that encompass horse pastures, wildflower meadows, and forests, including the Old-Growth Landmark Forest. James and Dolley Madison are both buried in the Madison Family Cemetery. Make time to visit the Grills Gallery with Madison artifacts including Dolley Madison’s engagement ring and James Madison’s walking stick. The “Queen of Hearts: Dolley Madison in Popular Culture” exhibit explores the first lady’s popularity and how, after her death, her likeness began to appear on cigar boxes, milk bottles, and packaging for cakes, ice cream, and household products. Watch for our “Postcard from Virginia Part Two” as we explore other presidential homes in the Commonwealth of Virginia.